Here are two tips for good digestion of your food and healthy life. 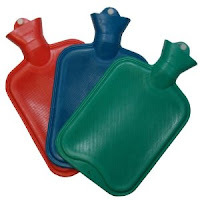 One is hot water bag. Purchase Hot Water bag from nearby pharmacy shop in few hundred rupees and get health benefits whenever you need. It help in stomach spasm and disturbance. Important: Separate hot bag and your skin with 2-3 or more layers of clothes. You should not feel uncomfortable on skin or else it will burn. Also, heat on skin is of no use. Heat need to penetrate slowly to inside of stomach. Another method is to rub with your hand clockwise. Many times you may have seen people doing this. You can do this daily as this does not require anything extra which you do not have every time. So, now you know stomach pain remedy without any medicine. Someone else has shared his experience with Hot Water bag.